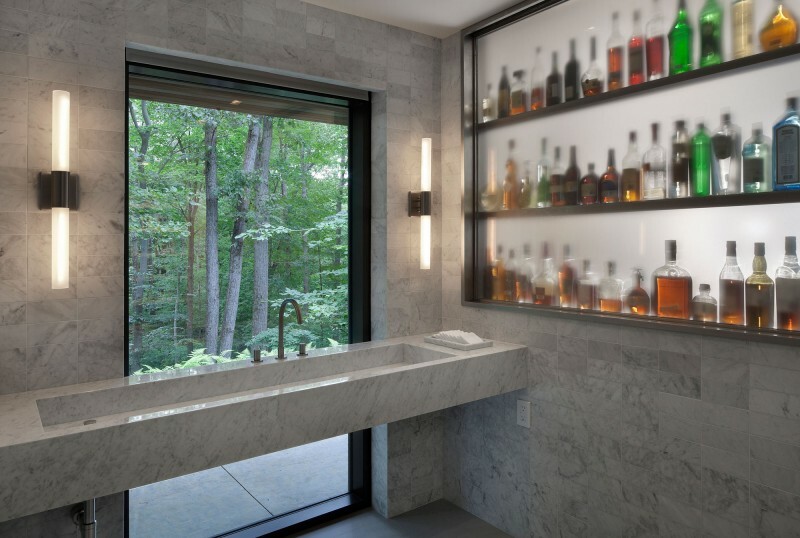 American architectural firm Specht Harpman has designed the New Canaan Residence. 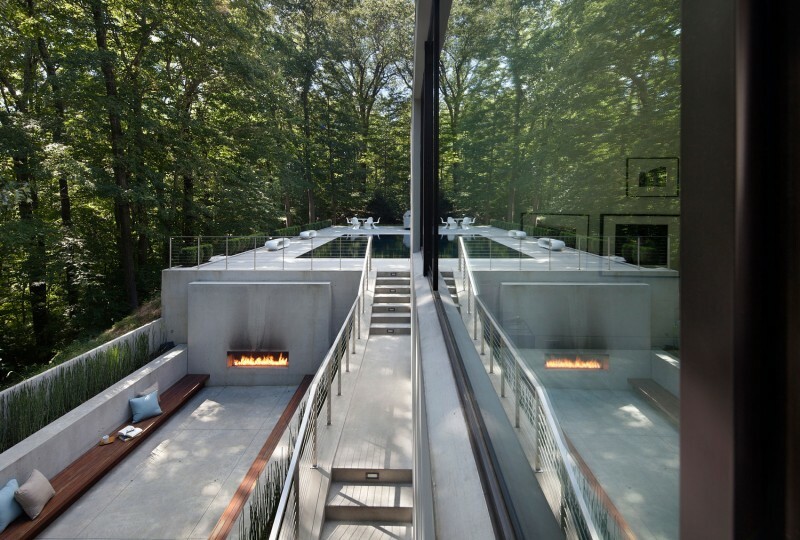 Completed in 2010, this 6,000 square foot modern home in New Canaan, Connecticut, USA achieves a close connection to the surrounding wooded landscape through the implementation of glass walls, a courtyard, and outdoor rooms. 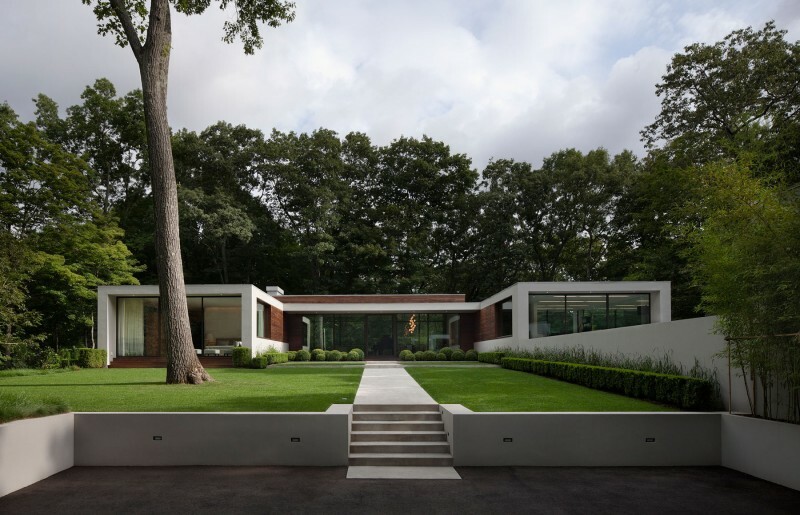 “The New Canaan Residence is nestled into a lush hilltop site in this forested part of Connecticut. The house was designed to engage the landscape and immerse the occupants in the full range of environments that the site offers. 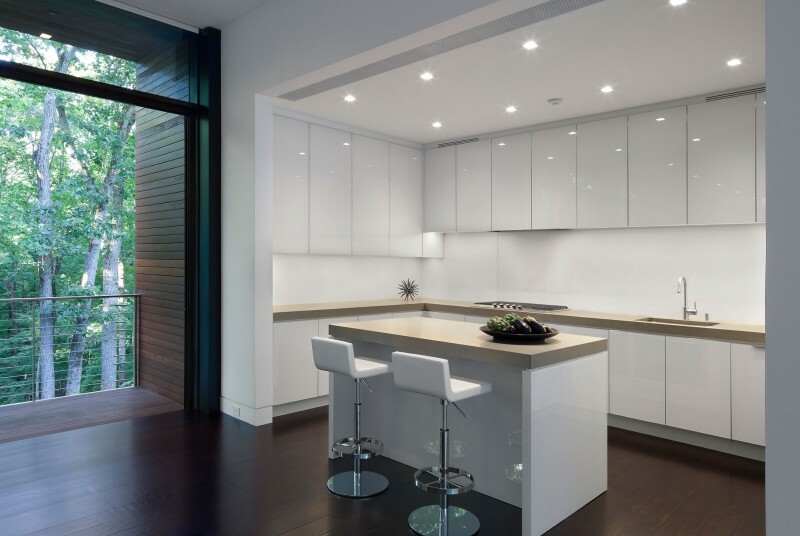 What the completed house doesn’t show is its modest beginnings: this is a renovation of a 1950′s house which had a series of unsympathetic additions from the 60′s and 70′s, and whose owners originally wanted only a kitchen upgrade. The New Canaan Residence welcomes its owners and their visitors into what feels like a floating pavilion in the tree canopy. A winding drive brings visitors through the forest to arrive at a low and gracious landscaped court that frames the glass entry pavilion. From this court, the transparency of the house is evident: floor-to-ceiling glass allows views through the house, incorporating the landscape into the body of the house. The tree canopy becomes a part of the architecture and creates a visual perimeter that changes with the seasons. 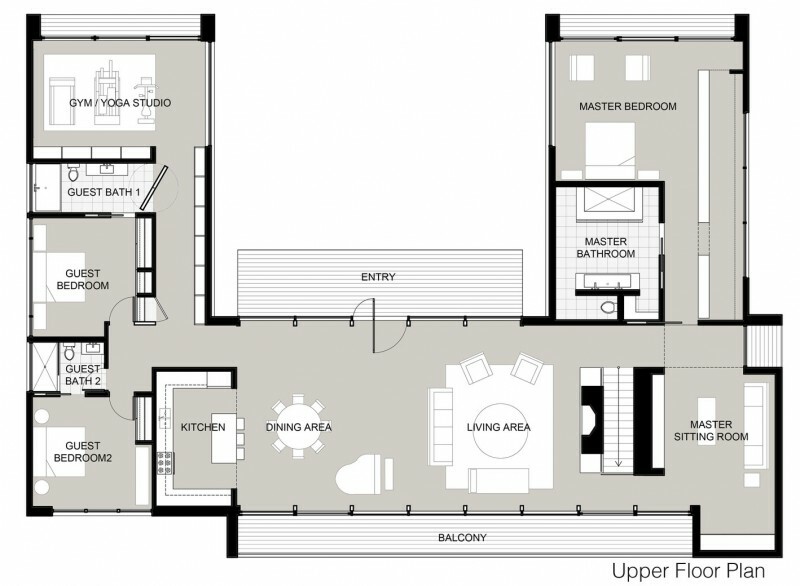 Is there a way we can find a download of the sketchup file for download? 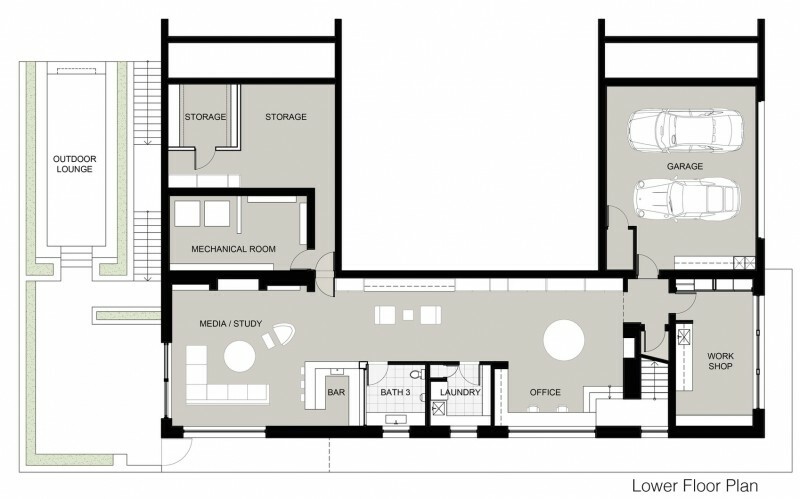 Or perhaps see some measurements? This is a beautiful house!